Who can say if we’ll be changed for the better? Pack your bags people, we're headed once again to the Emerald City! The hit Broadway show "Wicked" is officially on its way to the silver screen. But we'll have to wait for our chance to fly for two more years. The film won't be defying box office gravity until the end of 2021, according to a new announcement by Universal Pictures. It's slated for release on Dec. 22, 2021. As 'Game of Thrones' heads into its final season, what's next for Cersei Lannister's Lena Headey? The star said she's very happy to have been a part of the series for so long. "I was like: 'Let me try again,'" she said about acting and her career. The three-time, Tony Award-winning musical was originally adapted by Winnie Holzman and lyricist Stephen Schwartz from the 1995 novel by Gregory Maguire, entitled "Wicked: The Life and Times of the Wicked Witch of the West." Holzman and Schwartz are to collaborate once again, taking on the grand task of adapting the beloved story from theater to film. 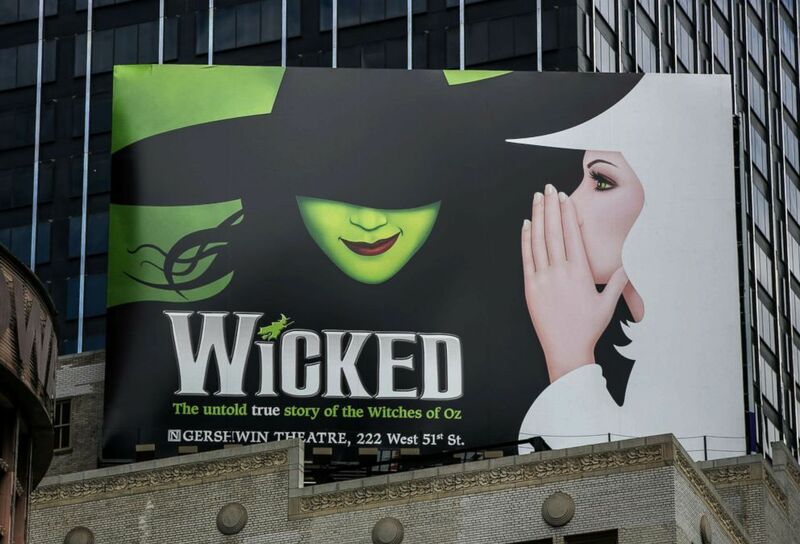 (George Rose/Getty Images) A billboard promoting the Broadway play "Wicked" is viewed in Times Square, June 10, 2017, in New York. Maguire told "GMA" he "couldn't be happier" over the film adaptation. "Children alone knew about the magic of Oz through the original novels published from 1900 on," he said. "When the famous MGM film, 'The Wizard of Oz,' was made in 1939, the grownup world got in on the love affair. In 2021, 'Wicked's' story and its message will belong to the world in a new way." "I know that a film star Elphaba will defy gravity all over again, and can't wait to fly with her," he added. As the creator of a story loved by so many, Maguire remains humbled in his work. "In 15 years 'Wicked' the musical has been seen by 50 million people or so. It makes me so proud. I'm almost inclined to invite everyone over for a glass of wine but I would worry about parking," he joked. "Still, I am reminded that writing, with luck, is an act of art, but it can also be an act of consolation and a political act. 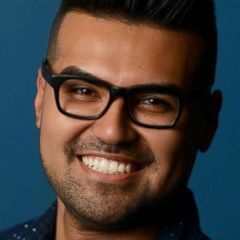 That my work may have helped amuse, console, or challenge even a few of those 50 million people is reward I didn't expect to receive as a writer." 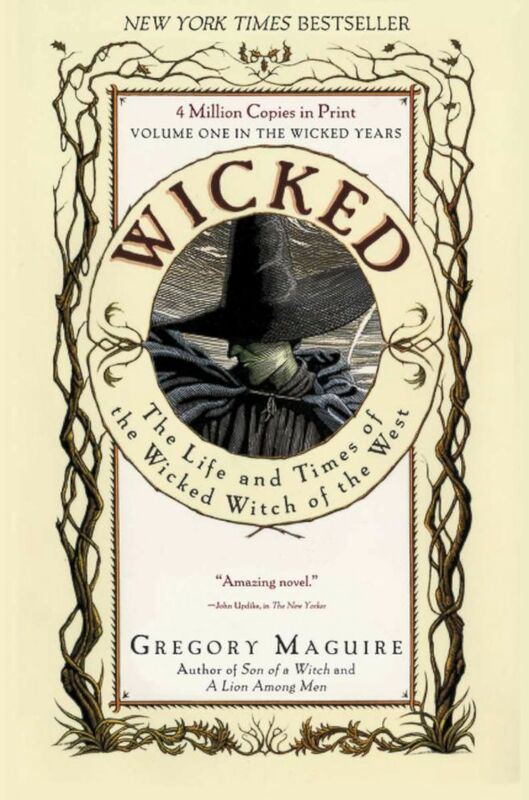 (Harper Collins) Book cover for "Wicked" by Greg Maguire. So, who can say if we’ll be changed for the better? The duty of translating stage to screen is not an easy one. According to Michael Riedel, the New York Post theater columnist and author of the New York Times bestseller "Razzle Dazzle: The Battle for Broadway," choreography alone is a huge challenge to render to film. "Movies these days tend to cheat choreography," he told "GMA." He continued, "They cast movie stars who are not dancers and then do lots of closeups of tapping feet that rarely belong to the movie star. The great Hollywood movies had unforgettable dancing: Fred Astaire on the ceiling, Gene Kelly in the rain, Cyd Charisse and her silk stockings. 'La La Land' caught a bit of the old Hollywood but that doesn't happen much anymore." (John Lamparski/WireImage/Getty Images) Alli Mauzey and Lindsay Mendez attend the curtain call at "Wicked," Oct. 30, 2013, in New York. For all that's on trend in Hollywood these days, adapting a stage production to the big screen was once a concept sure to make investors and producers fly off the handle. "For many years, Broadway producers would not allow a film of a Broadway show to be made until the show closed," Riedel said. "They felt people would not pay Broadway prices to see something they could much cheaper at the movies." "That changed with 'Chicago,'" Riedel noted. "The movie made the musical revival even more popular." 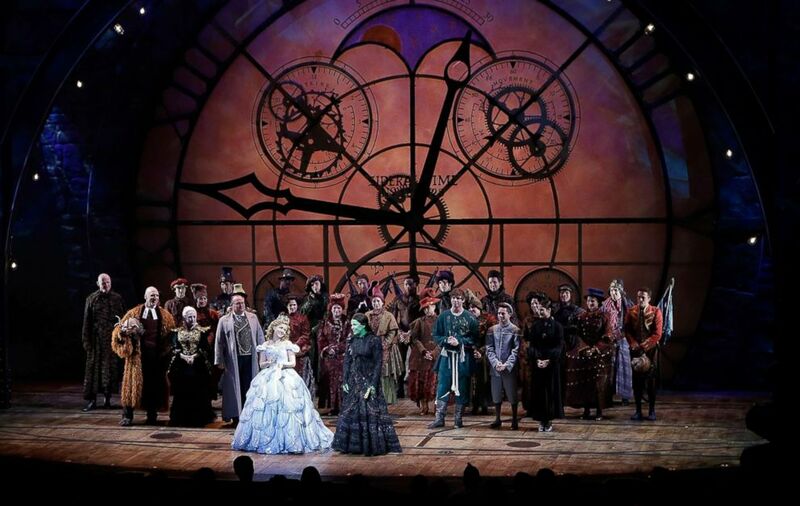 Since its 2003 debut on Broadway, "Wicked" has been nothing short of extremely popular, second only to "The Lion King" as the highest grossing Broadway show of all time.